 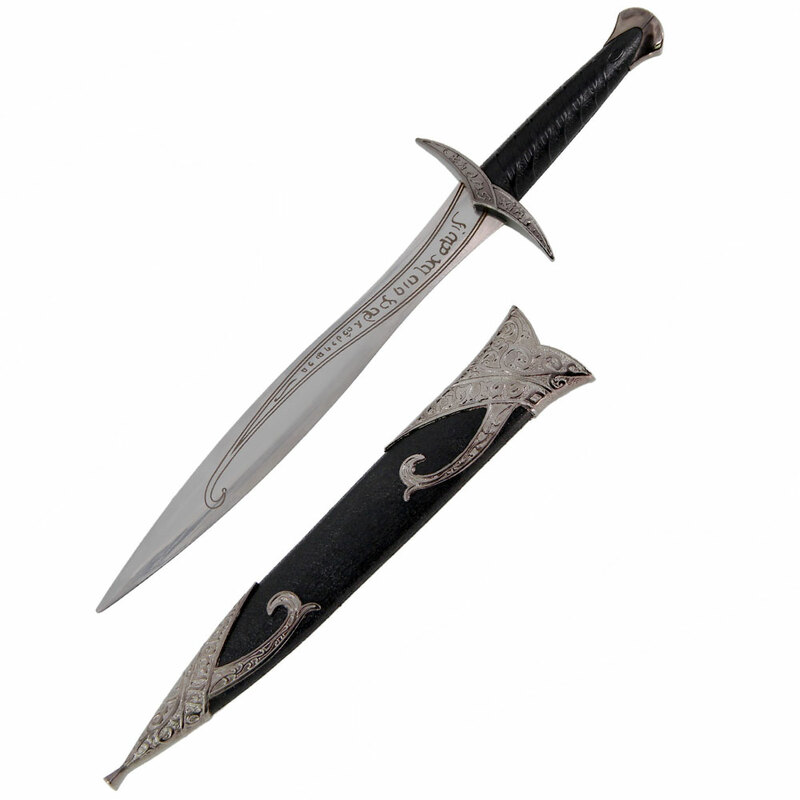 This is the 15 3/4" Elven Dagger Fantasy Sword. 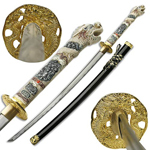 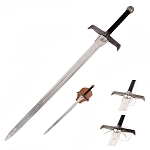 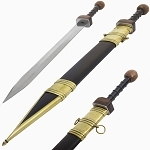 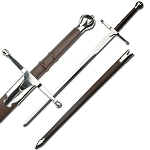 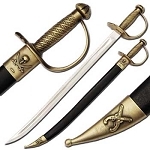 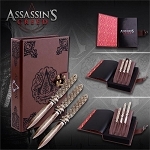 If you are into Middle world fantasy and elvish themed items, then this short sword dagger is sure to be the only you reach for. 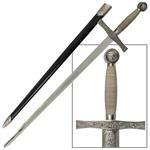 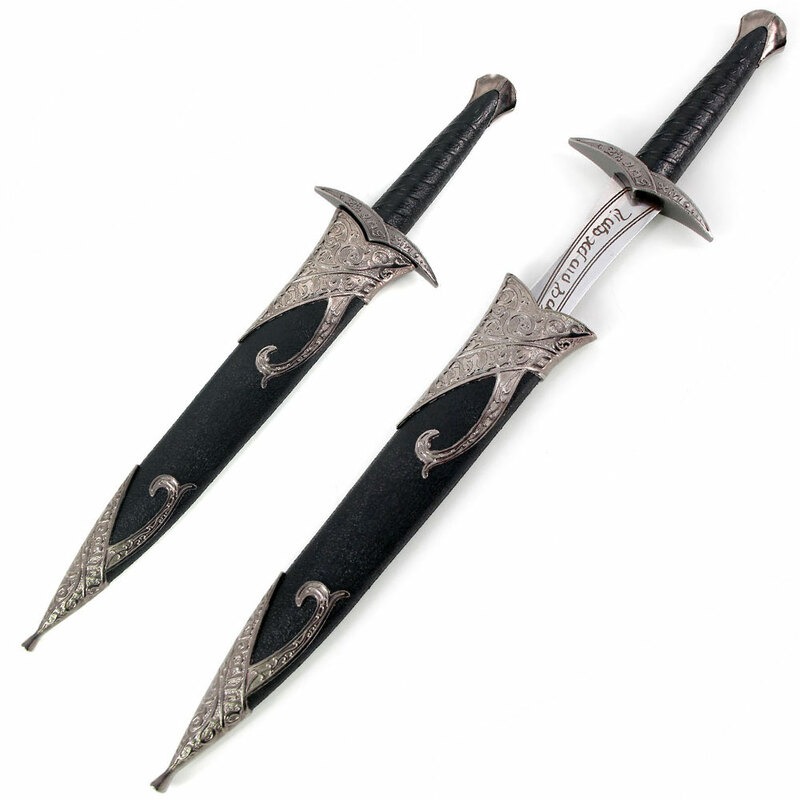 This elven short sword is made with a dull stainless steel blade with etched runes, black polymer sheath and handle with antique silver colored metal accents.